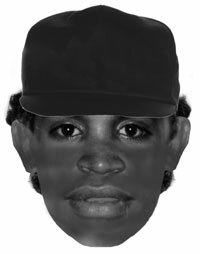 Alice Springs police are seeking a man after a woman was allegedly indecently assaulted on Undoolya Road. They say the 28 year-old was approached from behind while walking her bicycle up the stairs to her unit at about 4.30pm yesterday afternoon. “The woman has struggled with the offender and attempted to use her bicycle as a shield during the assault. She screamed and the offender ran off,” police say. The offender (pictured in this police comfit) is described as being of Aboriginal appearance and about 15 to 18 years-old. He was wearing knee length board shorts with multiple colours in a triangle or square pattern. He wore a faded black, flat brimmed cap and a dark blue faded t-shirt. He was clean shaven, with short dark hair, brown eyes and about 170cm tall. Police are also seeking information about a man who entered a unit in Holterman Court overnight. Police say a resident woke to discover a male person in her unit at about 5am this morning. The man fled after being confronted by the resident, running away in the direction of a laneway at the cul-de-sac of Holterman Court. Police say they believe the alleged offender took items that are unique, including a black Pentax digital camera and a small black pouch containing a blood sugar level testing kit. People with information were asked to ring 131 444 or contact Crime Stoppers on 1800 333 000.